I AM HUMAN. I MAKE MISTAKES. MY FEELINGS HURT. MY HEART ACHES. I CRY. I PRAY. I FEEL SORRY FOR MYSELF. I GET ANGRY. I LOVE. I ADMIRE. I ADORE. I GIVE. I GIVE MORE. I TRY. I PRAY. 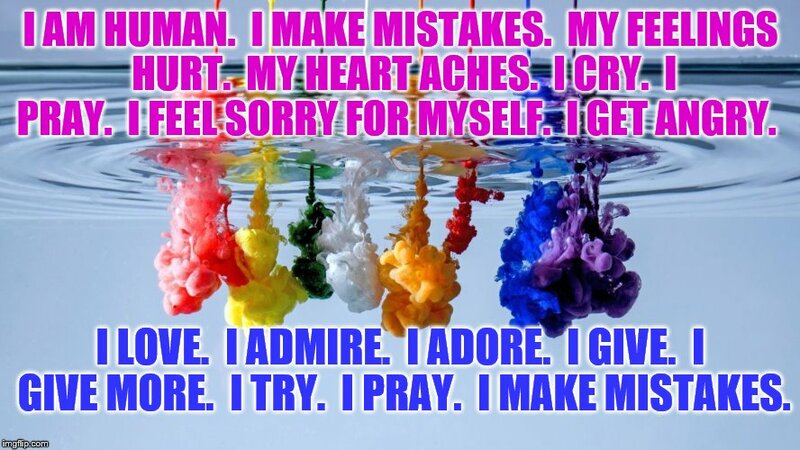 I MAKE MISTAKES.